The U.S. government today said it received 199,000 H-1B visa petitions for the upcoming 2018 fiscal year -- 37,000 less than in 2016. The government will issue 85,000 visas distributed via a computer-generated lottery. The winners will be able to use their visas at the start of the federal fiscal year, which begins Oct. 1. 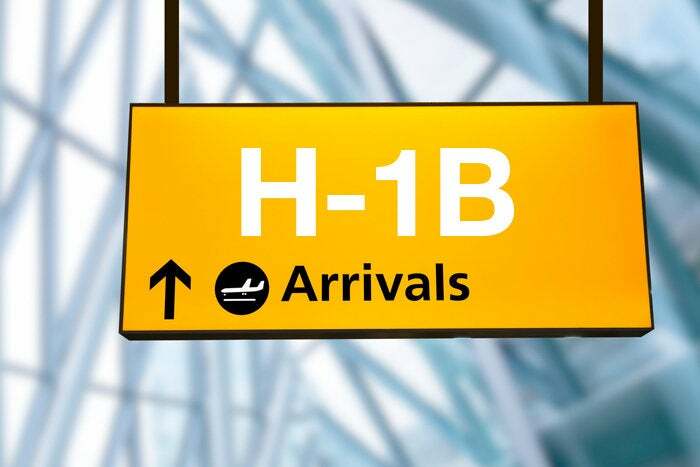 Industry analysts see President Donald Trump's actions and campaign rhetoric as having had an impact on the offshore outsourcing industry, which includes the largest users of H-1B visa workers. Firms considering shipping IT jobs overseas appear now to be more cautious than in recent years. The U.S. received 236,000 visa petitions for the current fiscal year, which was a record number. In fiscal year 2016, there were 233,000 requests; the year before that, there were 172,500. Peter Bendor-Samuel, the CEO of outsourcing consultancy and research firm Everest Group, said last month: "It is clear that many firms are postponing or canceling offshoring activity as they wait to see what happens on the political front." Similarly, David Rutchik, executive managing director at Pace Harmon, an outsourcing consultancy, said firms considering outsourcing are worried about negative press coverage, and being "called out on Twitter" by the president. Everest now expects revenue declines for the top five Indian service firms, which are also among the largest H-1B users. Unknown is whether there is new reluctance about coming to the U.S. to work. The travel restrictions sought by the Trump administration from six countries as well as well as the February shooting of two Indian software engineers in Kansas, one of whom died, could also have played a role in the decline. Adding to the uncertain environment is Congress. Bipartisan H-1B reform bills, with more on the way, have already been introduced in both chambers. It will be many months before it's known exactly which firms received the most visas. As many as half of those under the base 65,000 cap typically go to offshore firms. The remaining 20,000 are earmarked for advanced degree graduates of U.S. universities. U.S. Citizenship and Immigration Service doesn't release data on H-1B use unless a Freedom of Information Act request is submitted. The wait for that data can be as long as six months.